Opening hours: Smaller shops are open from Monday to Saturday 9.30am-1pm and 3.30pm-7.30pm. Larger stores stay open all day long, until 7.30/8pm. Shops in the city centre are normally also open on Sundays. Turin's vivid history still colours the atmosphere of the entire city. Walking in the streets of Turin, its past as capital of the richest reign of Southern Europe is plain to see: stunning palaces, squares and arches cover the entire city centre, giving to it a magic aura. 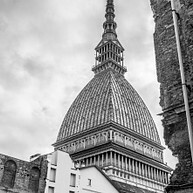 In Turin are also settled some of the most important museums in Italy, as the Egyptian Museum (second only to the one in Cairo), and the Museum of Cinema located in the building-symbol of the city - Mole Antonelliana. Besides art and history, in Turin you can also enjoy open air activities both in the city centre - in its huge park Valentino - and in the vicinity, where dozens of Savoy's estates are located with their amazing gardens and parks. Last but not least, if you are a sport enthusiast don't miss to visit Piedmont's ski runs, among the best in the Alps! 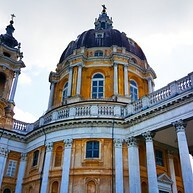 This Basilica was built by the orders of Duke Vittorio Amedeo II, in the 18th century. It is also sadly famous for being the place where the plane carrying the soccer team Toro crashed during the 1940s. Superga is located on top of the hill bordering Turin, from where you have a wonderful view of both the city and the Alps. To get there, you can take a bus, a mountain railway or a long-distance footpath, hence it is also the ideal destination for a hike during a clear day. Palazzo Reale was the residential estate of the Savoy family until 1861. Today, it hosts various galleries and museums. In the main building of the palace you can admire magnificent objects from the Baroque and Rococo periods, besides the stunning architectural structure of the estate itself. 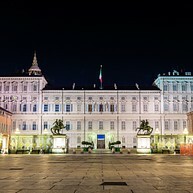 Palazzo Reale is located on Piazza Castello, one of the two main squares of the city. Parco del Valentino is a big public park covering an area of 421,000 m² right in the city centre, side by side with the river Po. Colourful flower beds, a small stream with wooden bridges and monumental fountains create a peaceful oasis in the midst of the city. During spring and summer you can chill all day long and well into the evening. Piedmont is one of the richest regions in Italy when it comes to wine. In particular, a large part of the production is concentrated in the Langhe area, reachable in one hour by bus, train or car from Turin. Many and various are the tasting tours available in this region, during which you can not only try these delicious nectars, but also numerous local dishes. This is a must see for all soccer enthusiasts. Visits are normally guided both in Italian and English, and at the end of your tour you can buy Juventus gadgets and memorabilia in the official shop of the team. You can choose between a visit to the stadium or the museum, or - why not – both! 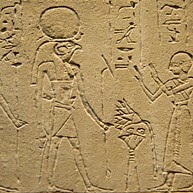 Solely dedicated to Egyptian Art, this museum is second only to the one located in Cairo. The wide collection here housed is the result of years of expeditions. Indeed in the past the artefacts used to be shared between the country where they were found and the researchers. Let yourself be amazed by this trip to one of the most mystic ages of history. There is a world hidden in Turin’s underground made of an extended system of tunnels built in the XVI century to resist the French siege. 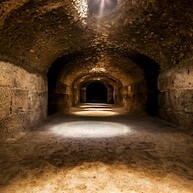 Visiting this museum you will have a tour in the same tunnels where the battle was fought. 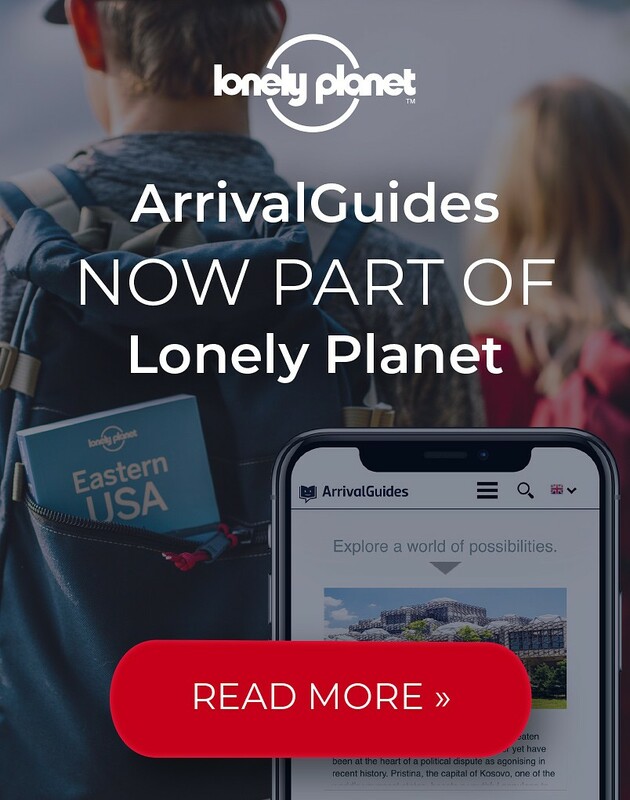 It is an inspiring trip to the past and a perfect occasion to see a one-of-a-kind military structure, but certainly it is not advisable for claustrophobics. 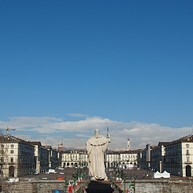 Piazza Vittorio is the main square of the city, and the biggest in Europe completely surrounded by arcades. 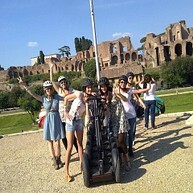 It is located at the end of Via Po, overlooking the river and the bizarre church Gran Madre. Under its arches, the square houses restaurants, cafés and bars of all sorts, and by night it turns into one of the centres of Turin's movida. Don't miss a visit here by night, even just to admire its splendour enhanced by lights and shadows on the facades surrounding the square. To experience direct contact with nature, visit Zoom, a few kilometres outside of Turin. 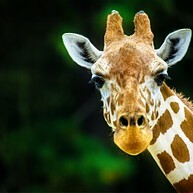 This safari park is so much more than a normal zoo: you can closely admire different species like zebras, giraffes, rhinoceros and you can even swim with penguins. Furthermore, the water park and Bolder Beach pool is an extension of the park, so you can buy a combined ticket for both attractions. The church of Santa Maria al Monte is visible from Piazza Vittorio, especially at night, when the space-age blue neon lights illuminate it. This building stands on the right bank of the Po, on the so-called Monte dei Cappuccini, and from its terrace you can enjoy one of the best views of both the city and the Alps. 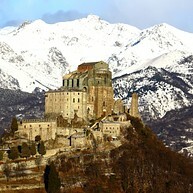 A visit to Sacra di San Michele is the perfect trip on a clear day. This basilica is of high religious importance and got its name from the archangel Michael. The interior is majestic and the surroundings are breath-taking, as is the path to reach it. But if you are not exactly an athlete, you can also get to Sacra di San Michele by train, bus or car. 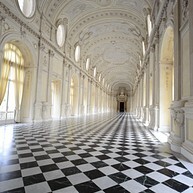 This former residence of the Savoy family in Venaria, is located just outside Turin. The palace is one of the most beautiful royal residences in Europe; indeed, it is part of the UNESCO World Heritage list. Today it houses a big and articulated museum, including the palace itself and the surrounding gardens. Large music events are often organised here, from classical music concerts to techno and house music festivals. The Palatine Gates date back to ancient Roman times, when they used to provide access for travellers coming from the north. Today the gates are part of the archaeological park located in the city centre, together with other ancient ruins, such as the remains of a Roman theatre. This museum opened its gates in 1932, becoming one of the first automotive museums in the world. 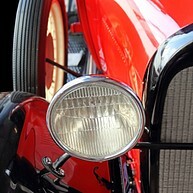 It hosts a very rare and fine collection of national cars from every epoch. The exposition displays all Italian brands of the past and present dating back to the middle of the 19th century, reaching approximately 200 models.